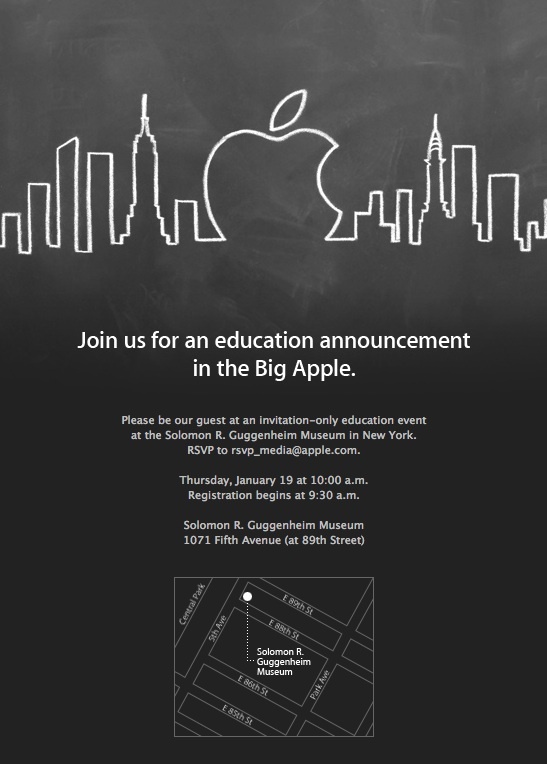 Earlier this week, Apple sent out invitations to an invitation only special event relating to education from Apple in New York City, also known as "The Big Apple." 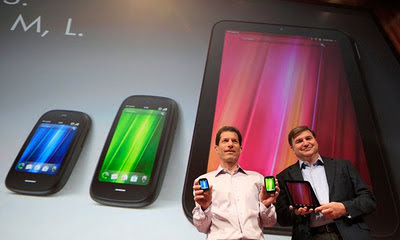 The event will be held at the Solomon R. Guggenheim museum at 10:00am. 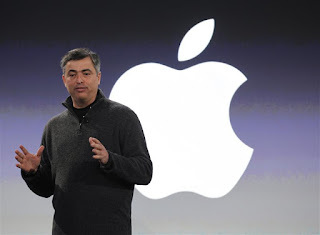 It has been rumored that Eddy Cue, Apple Senior Vice President of Internet Software, will be involved in the event, however, there has been no confirmation from Apple on this point. 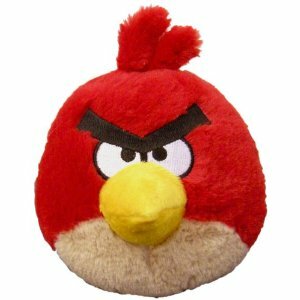 You'll recall that the iTunes Store, the App Store, the iBookstore, the iCloud and iAd services are all under Mr. Cue's supervision. The speculation is that with an education focus, Apple is gearing up to make an announcement around electronic text books, iTunes U, and the iPad for all sorts of educational opportunities. As a parent, and an active member in my children's school community, I personally, would love to see advancements in the area of text books and supplemental content. Year after year, my children's backpacks are loaded up with hard and soft cover books, library books, and binders of notebooks. Lugging all of that back and forth to school every day can't be good for their backs. 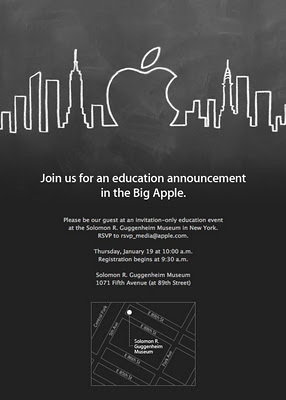 I think a little Apple ingenuity is just what the educational market needs.